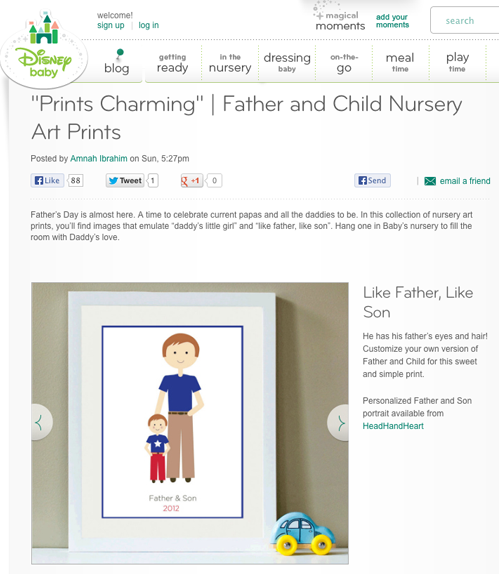 Head Hand & Heart has been featured on Disney baby. WOW!! Father's day is this weekend and the "Father & Son" print was selected for a sweet "Prints Charming" post. You can see the whole post here.